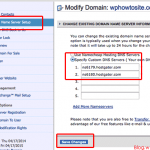 wpvidZ Blog Hosting Tutorials Install.php WordPress File Should I delete it? Every bloggers who are done with installing wordpress (related: Install wordpress 3 tutorial) must have install.php file in their file directories. Although when you follow my screencast or video tutorial above, you will probably notice, I installed everything manually, without accessing wp-admin/install.php file. Therefore, it is mostly forgotten than install.php file is existing in our wordpress files. In the video, I actually installed everything by typing “yourdomain.com/wp-admin” and then create a configuration file. Since I do numerous blogs installation, I have never accessed install.php file, and I personally did not notice that the file is existing, and it is really important to pay attention a bit. If you are excatly like myself, who just want to blog and have no idea about wordpress security and stuff, we would not pay attention a lot of some files we have, that other people can also peek without our consent. When I thought more about it, blogging can be complicated and more sophisticated than we thought.. When I started this blog, what I want was, people visit it, nothing else. 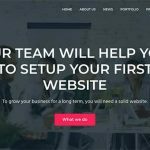 Then sooner, learning wordpress can be hacked, how to secure it? how to keep hackers as far as possible? how and how. Other parts, we have to think about the SEO stuff (Related: SEO tips 2011) and then dofollow and nofollow thingy. We must take care of a lot of things. We can make it simple though, for example, like my husband’s static website, which has age about 10 years more..and it ranks very poor in Google, the reason is, he does not even care about it, nor want to make it big. He just needs a private email address, not a website. If only he would care about SEO stuff, like I do in this blog, in 10 years age, his website should have at least PR6.. So it really depends on the goal you blog, why you are blogging, if you care about PageRank of your website, traffic and even earning, then do proper SEO, and try to increase your traffic. When we got all above, such as good traffic (related: get 1000 visitors a day), good money from your blog, what next then? Worry to get hacked is probably every bloggers’s problem. So we should try to keep our files in security. Tips to secure wordpress part 1 and part 2 probably will help a bit, especially use wp-security scan plugin. Eventhough, while I am also learning new things everyday, those posts are not going to secure our blogs 100% but at least it will increase the protection. The most important, always monitor coming login, or registered new people in your website if you allow anyone to register. 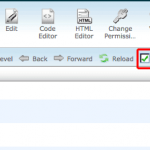 Install.php WordPress should you delete it? When I read in a deleting install.php file thread in wordpress support forum that it is best to prevent people seeing or re-install our blog via install.php file, I took a look at mine. I was not sure whether I must delete it or not. I was a bit afraid that when I deleted it, it will break my website. So I downloaded mine to my PC and then delete it. I did it because who knows something goes wrong, I still can restore it back. 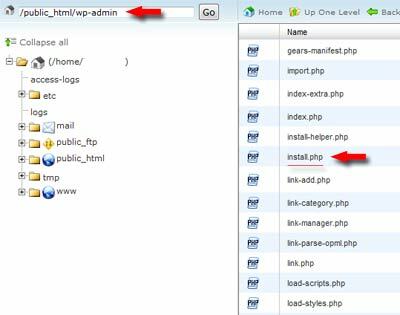 Install.php is located in your wp-admin folder, it is under install-helper.php, if you want to delete it. And it is also recommended to delete that file, since it won’t be needed anymore after blog installation. 2. Look where you install wordpress blog, and search for “wp-admin” folder. It is located inside your wp-admin folder. 4. Delete that install.php and be sure it is that file, and not something else. Actually you can deny all access through htaccess too, but the easiest would be just deleting install.php file.